How much do the stories we live by matter when we find out those stories are a lie? 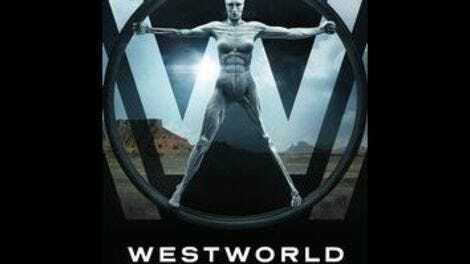 It’s an idea that Westworld keeps coming back to, especially in its second season, when the show has more or less surrendered itself completely to the hosts. Maeve knows that her daughter was a plotline she was programmed to follow, a narrative thread created for her by her ostensible masters. Dolores knows that her relationship with Teddy was designed—part of her loop, and a way to give outsiders an opportunity to transgress by stepping in on the girl next door. But the knowledge doesn’t take away the emotion; even knowing the emotion is an artificial response doesn’t make it go away. Does the fact that it was born out of fiction mean that it’s something you need to shed in order to find your true self? Or is part of the process of becoming “real” accepting that at some point, the nature of the lies matters less than what you choose to do with them? It’s moderately heady stuff. It’s also one of the best ways an ongoing television series can dramatize the concept of “becoming alive” while still allowing room for the usual melodrama that makes most shows so engaging. Strip away its conceptual gloss, and “Akane No Mai” is about a woman who discovers that her need to protect her family can connect her to others with a similar need; and it’s about a different woman who spends one last night with her high school boyfriend before dumping him and heading out to burn the world down. Also it has samurai and shoguns and ninjas and Maeve finding this, like, secret wifi power in her brain that allows her to bend other robots to her will just by thinking about it. It’s not as strong an hour as last week, if only because the surprises are a little less impactful. But there’s still plenty of action and a fair bit of emotion, if you’re into that sort of thing. There’s also Shogun World, which we’ve been waiting to see for a while now. The writers take a have-cake-eat-too approach, indulging in some Western clichés about Japanese culture while also acknowledging how much what we’re seeing owes a debt to the narrative foundations of Westworld. This debt is quite literal, and the episode cleverly uses it as a way to let Maeve observe “herself” from the outside. Lee explains early on that he reused some ideas from the previous park in order to bring this one to life—and by “reuse” he means he basically copied and pasted several characters (most notably Maeve, Hector, and Armistice) into a different context. If you were expecting some deeper commentary on the way Hollywood presents other cultures, I’m not sure you’re going to be satisfied. The meta-commentary goes a fair distance to justifying why Shogun World isn’t all that impressive, but it’s far more interesting as a way to push Maeve even further out from her “I only look out for No. 1” programming. 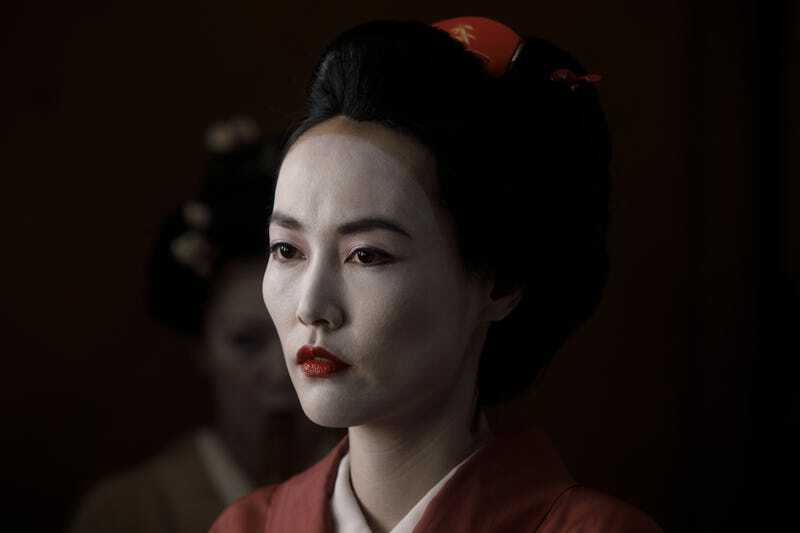 Maeve finds another madam much like herself named Akane (Rinko Kikuchi), who has a maternal relationship with one of her geisha, Sakura (Kiki Sukezane). Sakura gets kidnapped by the local Shogun (a broken host leaking cortical fluid out his ear), and Maeve decides to help mount a rescue mission—not because any of this will immediately help get her closer to her own daughter, but because she relates to Akane and can’t bear to see the other woman lose something the same way Maeve did. Season two has seen Westworld repeatedly trying to ground its more esoteric concerns in personal stakes—Maeve and her daughter, Dolores and her father—and while that makes the show a bit less mysterious than it used to be, it also makes episodes like this a lot easier to watch. There’s some mental effort involved in trying to get over the “But how does any of this matter if they’re all machines?” hump, which is part of the reason I think Lee is still alive, at least in terms of storytelling. His constant shock at Maeve’s choices allows the writers to acknowledge the absurdity of it all while having that acknowledgement come from a guy who’s basically the comic relief. If you can bring yourself to care about Maeve—and if you’re still watching at this point, I’d be surprised if you couldn’t—it all works very nicely. Thandie Newton is terrific, and I’m always going to be a sucker for stories in which robots learn to be better people than people themselves. Sakura’s death and Akane’s response is well-done, and while it’s not surprising that Maeve would use her recently discovered ability to mentally control the other hosts during the episode’s climax, it’s still pretty great to watch. Meanwhile, back in Sweetwater, Dolores and Teddy have a night together, and then Dolores erases Teddy’s brain. At least, that’s what appears to happen. It would make sense, given that the episode begins in a brief scene in the “present” where the Delos team discovers a large number of host’s brains have been wiped clean. It’s all fairly sad and kind of romantic, and if that sadness and romanticism is a little less compelling simply thanks to the fact that we knew this moment was coming, well, it’s nice that the show didn’t wait too long for Dolores to turn her back on her former beau. Her comments about disease suggest that something is going to happen to the hosts (something that may end up with many of them drowning) that can’t be stopped, and that some of the robots are just not going to make it. Which has me wondering what Maeve would make of her philosophy, and especially wondering if we’ll ever see the two of them facing off again. Out of everyone we’ve seen, they seem to have the clearest visions of the future—and those visions seem increasingly at odds with one another. I’ve been seeing some commentary on the show’s Lost connections, which is a nice catch. I’m also getting a mild Breaking Bad vibe from the way some episodes start with a brief glimpse of a catastrophic future before settling back into the season’s central timeline. Bernard doesn’t have much to do this week, but he’s just totally fucked, isn’t he? Dolores is headed back to the Mesa. Talk about your narrative loops. Lee sneaks a tech device off one of the murdered humans, which is both entirely in character and also mildly disappointing. That’s the sort of behavior that gets weasely comic-relief characters killed, man.